A CITY-STATE IS AN independent political entity composed of a large and important town and surrounding countryside. In ancient times, city-states, such as the Greek city-states and Rome, sometimes became great economic and military powers that secured far-flung empires, thereby imposing their will and culture on other civilizations. In late medieval and Renaissance ITALY, powerful trading city-states flourished such as Florence, Milan, and Venice. City-states also existed in northern GERMANY at Bremen and Hamburg. Some contend that city-states exist today and new forms are emerging that exhibit economic power and independence if not the political sovereignty of earlier classical examples. The first city-states were in Sumer in the fertile lower Tigris-Euphrates Valley of Mesopota-mia. The open area was vulnerable to invasion, but the Sumerians found strength in their urban units. Important cities were Akkad, Eridu, Kish, Lagash, Larsa, Umma, Ur, and Uruk. Rulers of the most important Sumerian cities were periodically able to assert their control over the region. The city-state reached its zenith in ancient GREECE. Although sometimes able to form federations to face a common foe like Troy and Persia, the Greek city-state, or polis, remained the form of social structure. The most significant were Athens and Sparta. Of lesser importance were Argos, Corinth, and Thebes. Within these cities, different forms of government were tried, such as monarchy (hereditary kingship), tyranny (dictatorship), timocracy (rule by the wealthy), oligarchy (rule by a few), and democracy (rule by the people [free male citizens]). One of their greatest achievements was democracy, which until the late 18th century was believed feasible only in city-states where people could easily meet and reach community decisions. Though disunited and small in territory and population, the Greek citiesstates contained fiercely patriotic and creative citizens. Their cities became the cradle of Western civilization with monumental achievements in art, literature, drama, history, architecture, science, and philosophy. The Greeks spread their rich culture by founding new and significant city-states throughout the Mediterranean region. Greek colonies appeared at locations as diverse as on the shores of the BLACK SEA, present-day FRANCE, Africa, Asia Minor, Sicily, and Italy. It was from a small city-state in Italy that the world’s greatest empire arose. Legend says that the city of Rome was founded by it first king, Romulus, on the Palatine Hill on the Tiber River. The Roman Republic was born when the rule of Etruscan kings were overthrown in 509 B.C.E. Despite a vulnerable geographic position, the empire won by its energetic and ambitious citizens would be of unrepresented durability, might, and size as it stretched from Scotland to Persia. Eventually the republic, governed by a senate, would be replaced by the rule of emperors following the rise to power or Caesar Augustus, and the city of Rome would become a crowded metropolis of towering marble structures such as the Colosseum. Wherever the Roman legions marched, they brought not only Roman rule, but law, order, economic unity, trade, and massive public works. Rome was also unique in the liberal granting of Roman citizenship to conquered peoples across the empire, but it also brought oppression and slavery. Rome’s greatest contributions to Western civilization were law, public administration, urban planning, military strategy, literature, and architecture. The Western Roman Empire eventually succumbed to a slow decline, the causes of which are still debated. The Goths would depose the last emperor in 476 C.E. The disorder of the Holy Roman Empire led to the formation of independent towns and principalities in northern Italy. 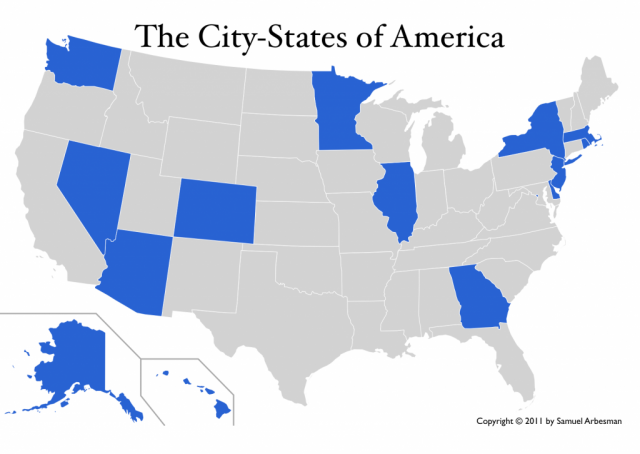 The three most important city-states were Florence, Milan, and Venice. Lesser city-states included Ferrara, Genoa, Lucca, Mantua, Padua, Pisa, Siena, and Urbino. The Italian city-states, the kingdoms of Naples and Sicily, and the Papal States constantly engaged in wars and intrigues, thereby producing ever-shifting borders and alliances. Eventually, some city-states commanded enough territory and wealth to become major European powers and centers of culture and learning as their plotting princes and ruling families helped fuel the Renaissance by patronizing the arts. Most of these city-states began with an adherence to republican ideals but degenerated into ruthless oligarchies and despotism, but often with a façade of republican institutions. After defeating its rival, Genoa, Venice emerged the most republican and successful Italian city-state in amassing riches through trade and in avoiding the endless conflict suffered by the others. Yet the cities’ sovereignty was lost in the 19th century through infighting and the inability to unite against outside aggression. The Black Death also took a horrendous toll on their dense populations. Today, SINGAPORE (“the lion city”) and HONG KONG are often viewed as modern city-states exerting enormous economic power and political independence, although the extent and future of Hong Kong’s quasi-independence from CHINA is in question. Less convincingly, some contend that other large cities may develop into city-states because of their economic influence, such as LONDON, LOS ANGLES, NEW YORK, Rotterdam, and TOKYO. Yet these and other large urban centers, with international trade and ties, are firmly a part of their nation-states, with neither a prospect nor a desire of gaining the political independence or sovereignty sufficient to qualify as true city-states as traditionally defined. Nevertheless, many large cities are gaining greater independence in managing local affairs and international economic activities. More futuristically, some assert that “Dubai Internet City” in India is destined by design to become a completely new type of city-state for the 21st century as it strives to reach its goal of becoming an independent and principal ground base for the cyber-world economy, thus substituting communication and corresponding economic centralization for geography as defining characteristics of the city-state. Also predicting the future, some economists argue that the forces of globalization or regional economic and political unification will eventually make cities more important than nations. Some envision this happening to cities in the center of Europe, such as Lyons, Stuttgart, Milan, and Barcelona, if the EUROPEAN UNION strengthens and blurs national distinctions. Therefore, the definition of a city-state may ultimately change to reflect traditional economic independence, but with new forms of political autonomy and perhaps transcending traditional geographic boundaries.